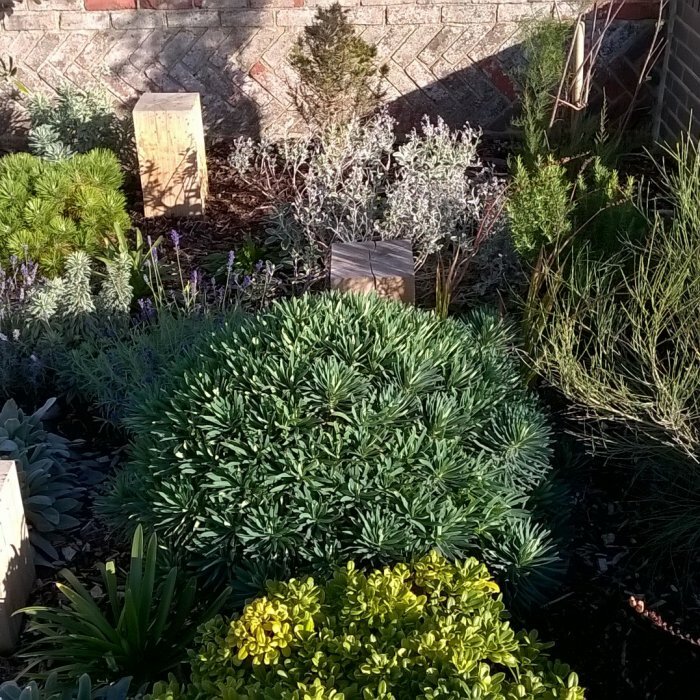 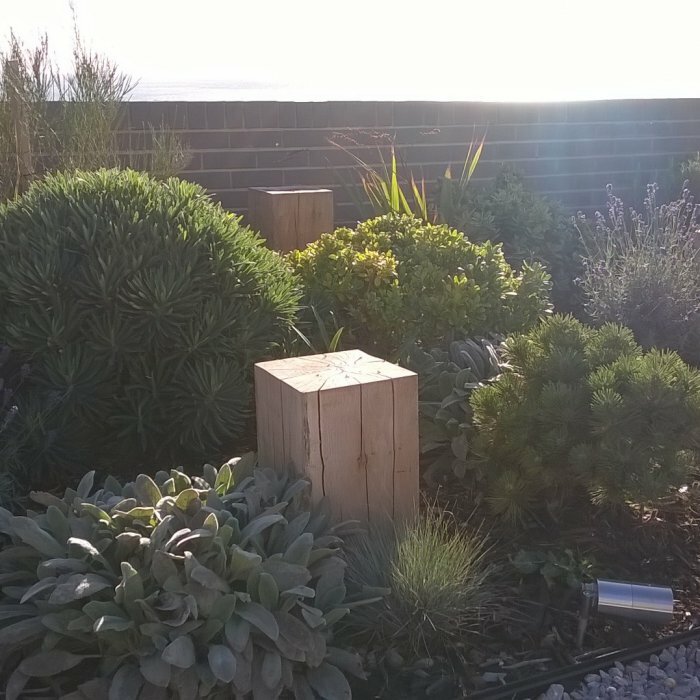 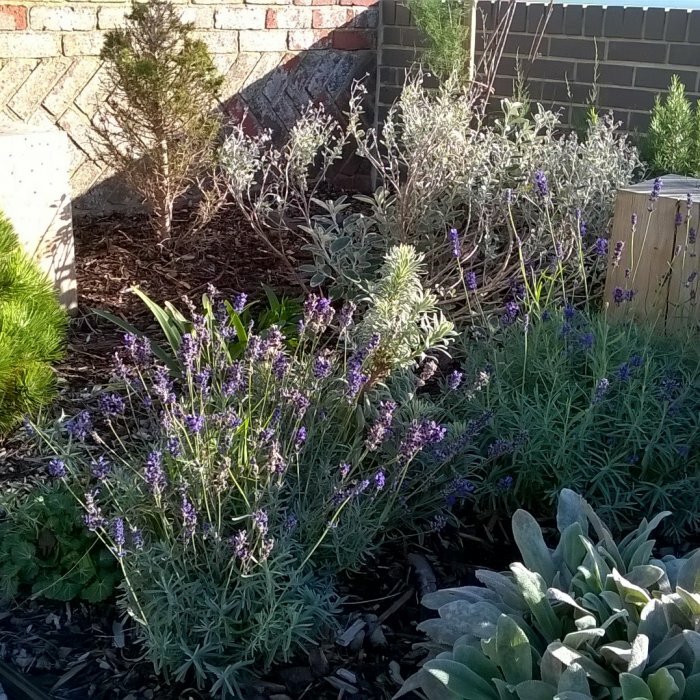 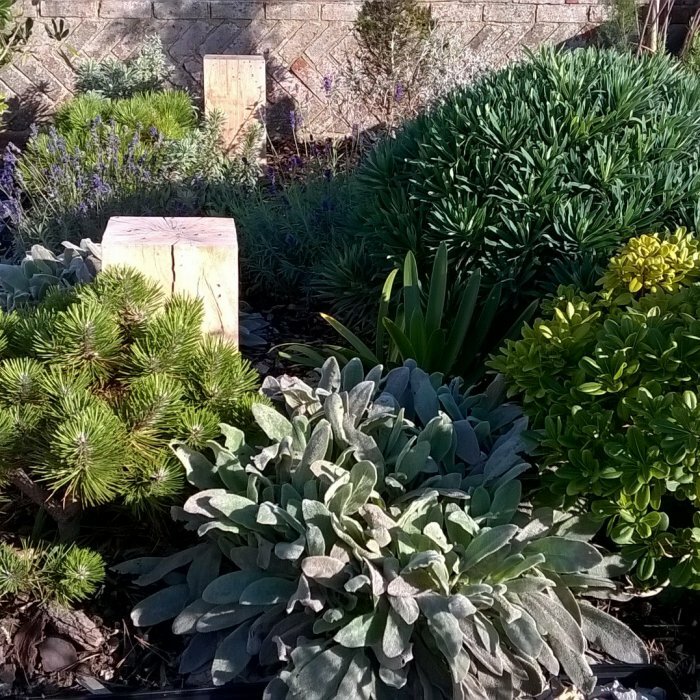 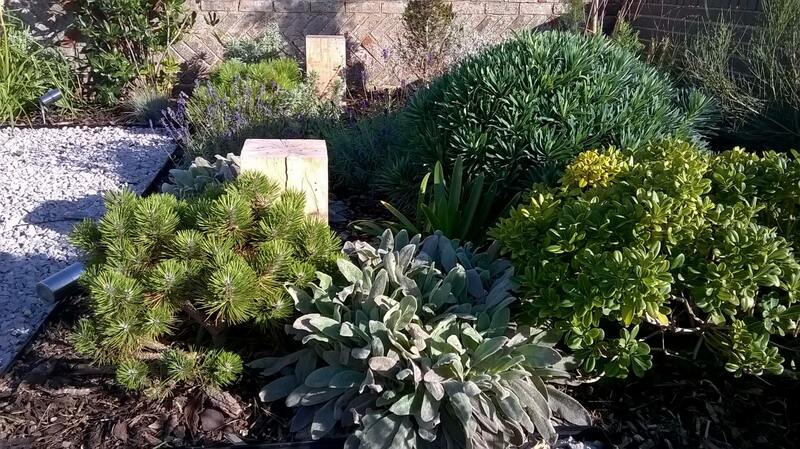 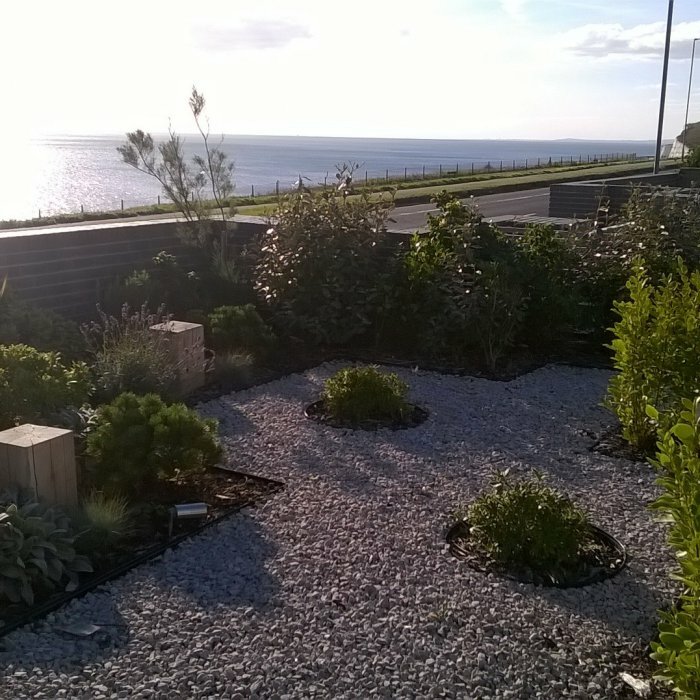 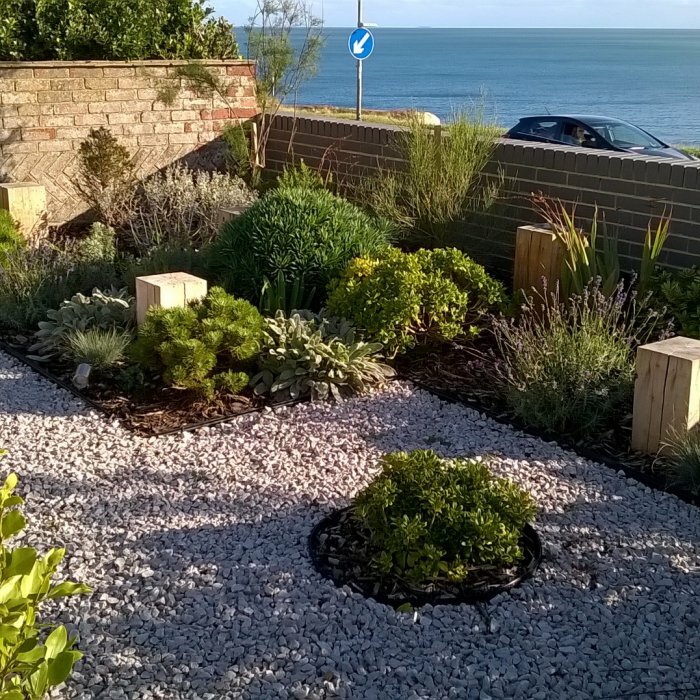 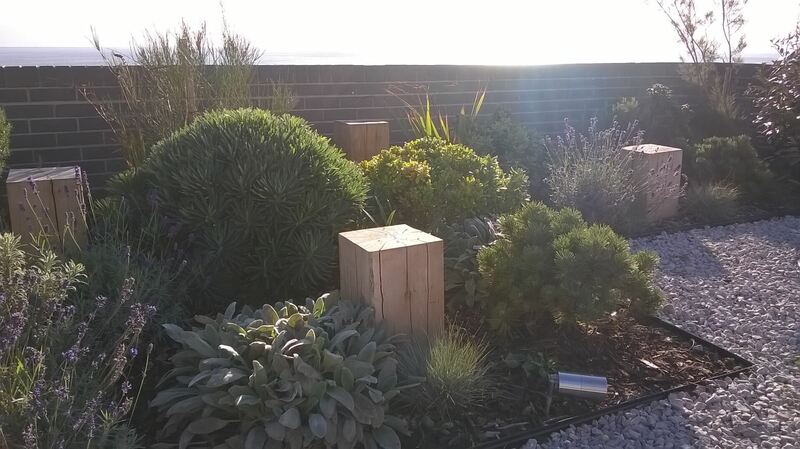 Although often exposed sites dealing with salt laden winds, a correctly chosen planting palette can help us to create a stunning garden on the coast. 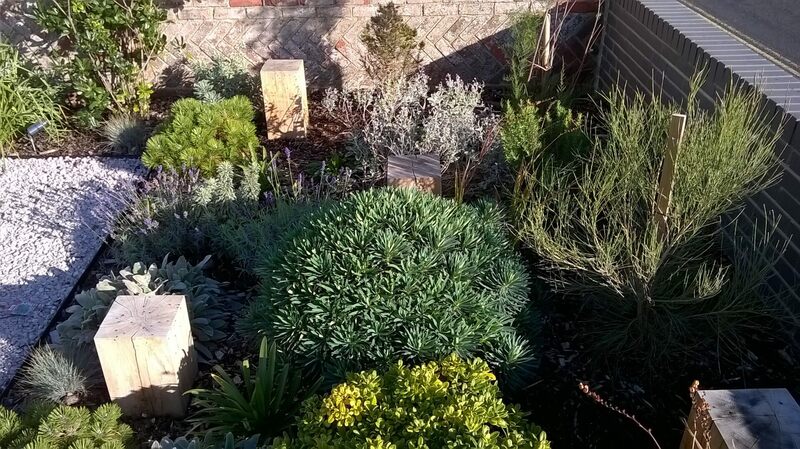 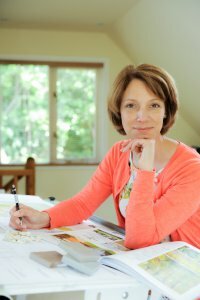 Milder temperatures and sandy soils allow a wide range of plants to flourish, and different planting styles, from the exotic to the naturalistic can be equally successful. 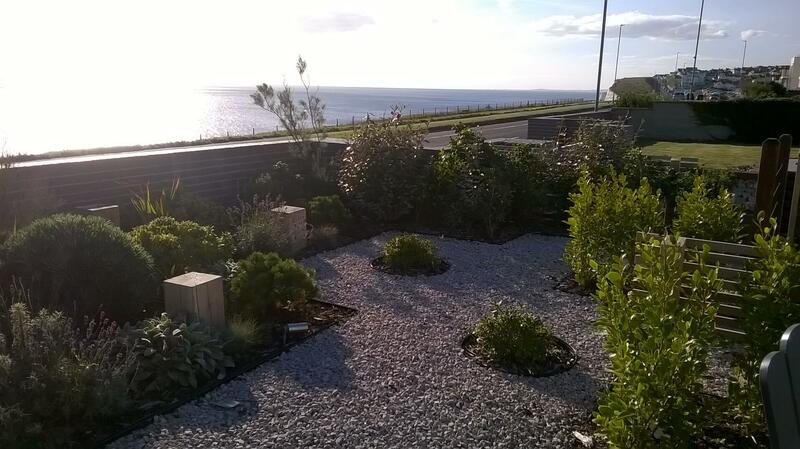 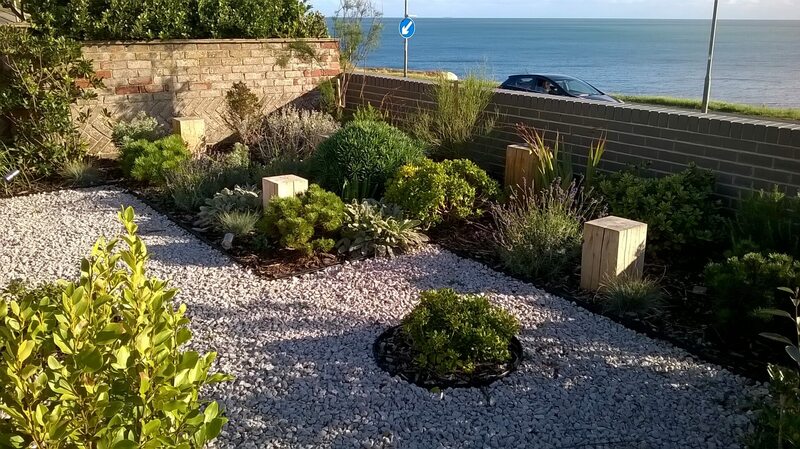 A stylish coastal garden based around grey limestone gravel, granite slabs, and black pebble detailing. 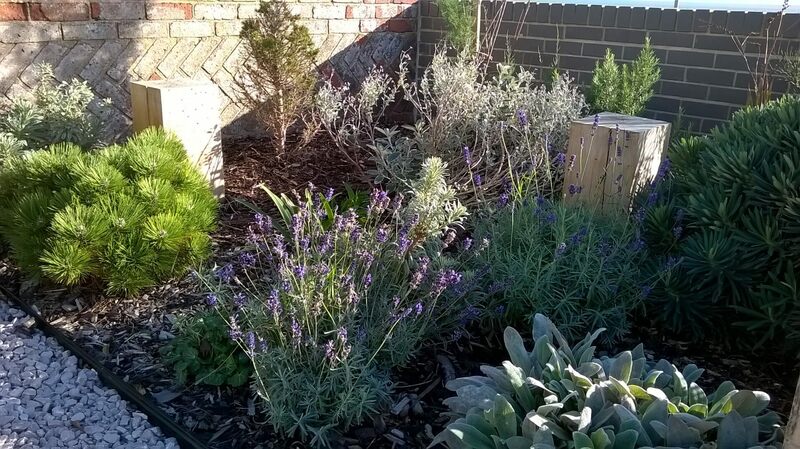 Modern slatted fencing along with evergreen hedges create all important windbreaks, allowing a salt and wind tolerant planting palette to thrive.